Click arrows for internet radio on Joseph. Zecharia Sitchin translated clay tablets scribes wrote in Ancient Sumer that said giant people from the planet Nibiru came to Earth to get gold, refine it into white powder of monoatomic gold, spread it in Nibiru’s atmosphere and shield their planet. 300,000 years ago, when the miners from Nibiru mutinied, Enki, their Chief Scientist inserted his genes into the genome of a local human, Homo Erectus, who’d survived ancient extinction events on Earth to make mine slaves–that’s our genetic heritage. 13,000 years ago Nibiru neared and warmed Earth and the Antarctic icesheet slid toward the South Sea. The ETS knew the worldwide Deluge would result but Enlil, their Commander, decided to let all us hybrid Earthlings drown, buy Enki managed to save his hybrid son, Ziasudra. 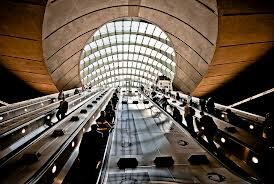 Enlil decided the Nibirans would rule us Earthlings through Ziasudra’s descendants. Enlil’s faction nuked their own spaceport on the Sinai Peninsula in 2024 BCE rather than let Enki’s son Marduk and his Earthlings, the Babylonians, take it. But they accidentally decimated their own Earthling subjects with radiation. Enlil ordered his fawning general, Abraham, a descendant of Noah’s son Shem and of the Sumerian rulers of Ur, to Canaan, out of the radiation. 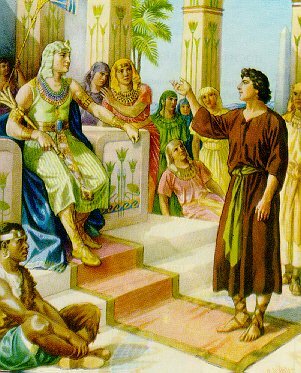 ABRAHAM’S GREAT GRANDSON JOSEPH SAVES EGYPT & THE ISRAELITES by Sasha Lessin, Ph.D. 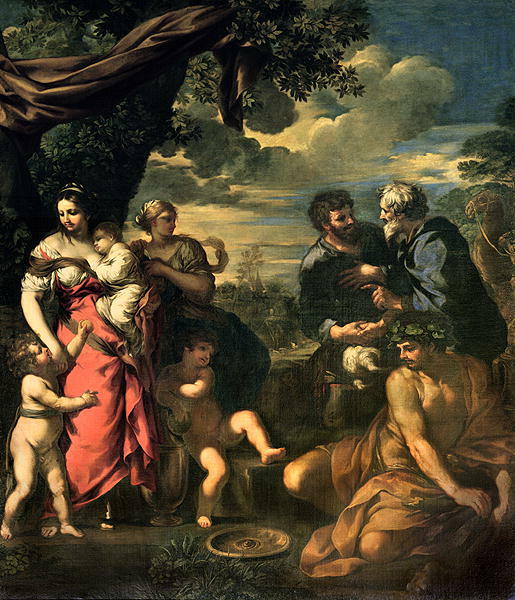 In 1907 BCE, Abraham, worried ISAAC would marry a local Canaanite and dilute their Enlilite bloodline from Sumer, sent him back to Harran on the Euphrates to marry a daughter of their relatives there. Isaac brought Rebecca back from Harran to Canaan; there she bore him the twins ESAU and JACOB in 1963 B.C..
Famine from drought struck Canaan when the twins matured. 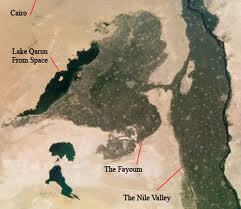 Isaac thought he’d send Esau and Jacob to Nile-watered Egypt both to escape the famine and to find brides. 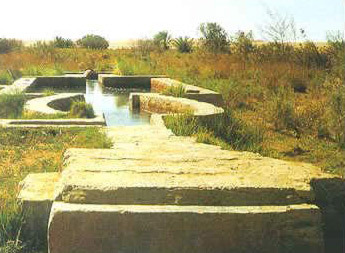 Enlil vetoed Egypt across the still radiation-contaminated Sinai and ordered Isaac’s family to an area of Canaan where wells tapped water. There Esau married a local. 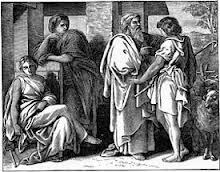 Isaac worried his son Jacob would marry a Canaanite disloyal to Enlil. 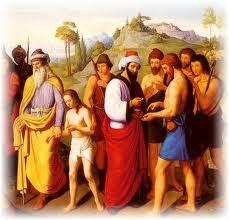 So Isaac sent Jacob to Harran to marry daughters of Leban (Isaac’s mother’s brother). In Harran, Jacob asked his uncle Leban for Leban’s daughter Rachael. 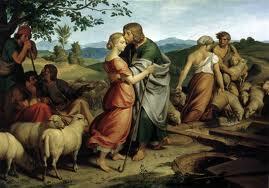 Leban told Jacob first marry Rachael’s older sister Leah and, in Harran, earn the dowries for both women. So Jacob worked twenty years for his uncle. 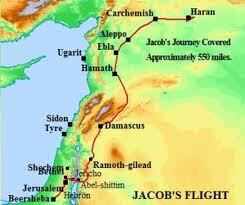 Then Jacob “dreamed” Enlil’s messenger bade him return to Canaan. 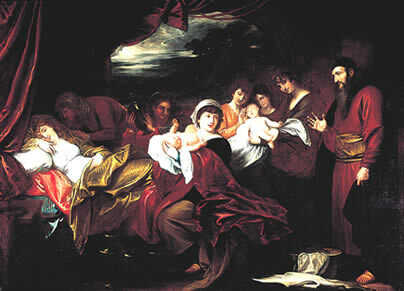 The messenger, also in a dream, warned Leban to let Jacob and his wives go. 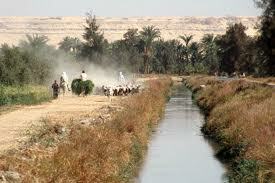 On his way back south from Harran to Canaan Jacob paused at the Yabbok Crossing of the Jordan River. 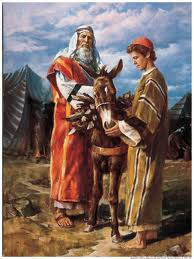 “Uncertain what his brother Esau’s attitude” toward him, as a rival to rule Abraham’s tribe, Jacob sent his party ahead. 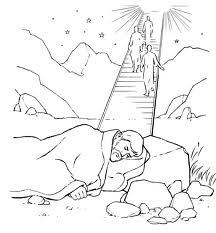 A Nibiran [called an angel-which meant Emissary of a Nibiran god] ambushed Jacob and dislocated Jacob’s hip. 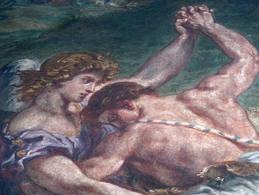 Jacob fought back, pinned the Nibiran and held him all night. In the morning, in exchange for the Nibiran’s blessing, let him go. The Nibiran renamed Jacob “ISRA-EL [he who fought a Nibiran]. Israel, who limped into Esau’s camp, became the patriarch of Enlil’s loyalists, “the Children of Israel”–Israelites [ZS, Encounters: 250 – 256]. 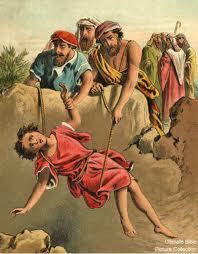 Israel/Jacob’s older sons hated their half-brother, Rachel’s youngest Son Joseph (born in 1870 BCE). They hated how he obsessed with dream interpretation. They sold him as a slave to caravaners, who took him to Egypt. 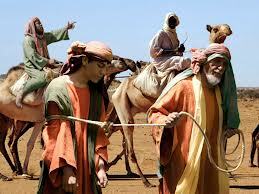 .In Egypt an official of the Pharaoh worked Joseph as a household slave. 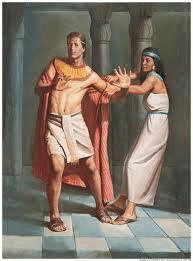 The offiial’s wife tried to seduce Joseph. When he said no, she said he’d propositioned her. The official jailed him. 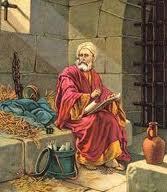 Joseph kept reading dreams even in jail. 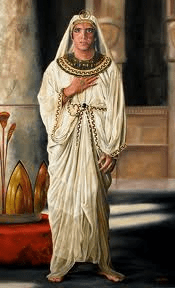 In 1842 BCE Pharaoh Amenemhet III of Middle KingdomXII Dynasty) took Egypt’s throne and, in 1844, sent for Joseph to read a dream. 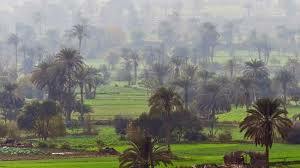 Amenemhet’d dreamed seven skinny cows ate seven fat cows and seven scorched ears of grain ate seven healthy ones. 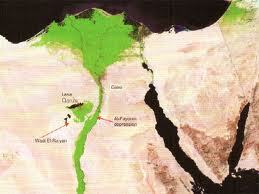 Joseph channeled Nile water at high flood level through a natural depression to an ARTIFICIAL LAKE NEAR HAWARA. 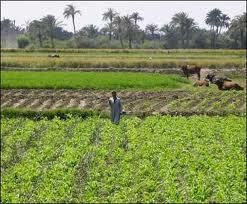 He built canals and underground pipes for miles in the FAYAM area, and made Fayem the breadbasket of Egypt. When drought and famine struck the Near East, refugees pored into Egypt where vegetables, fruit and fish still–thanks to Joseph–abounded. 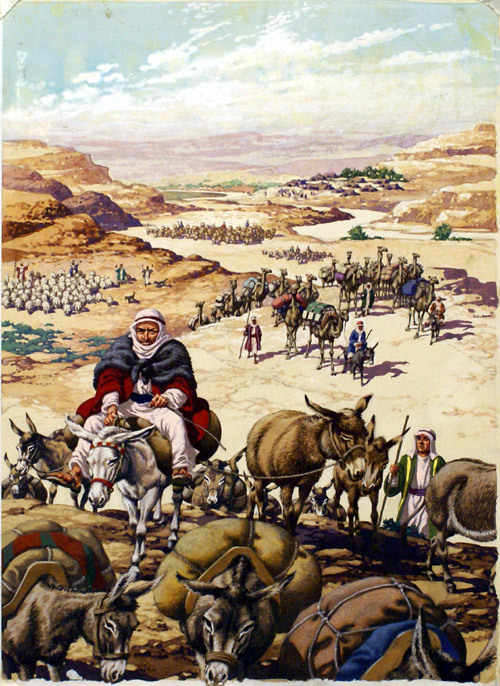 In 1833 BCE, Joseph’s father, Jacob/Israel (now 130 years old) and other sons (even those who sold Joseph as a slave) joined the refugees to Egypt from Canaan. 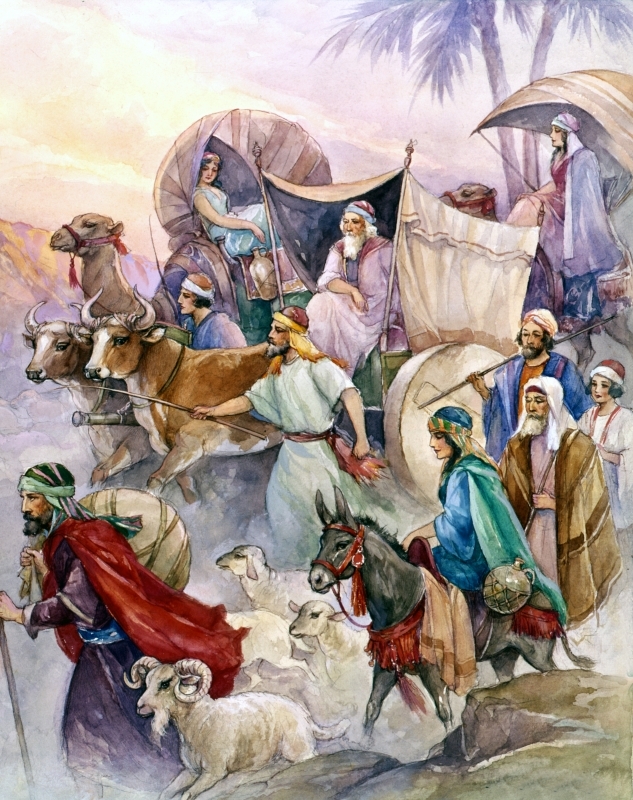 Jacob had feared the move to Egypt, since his sons had sold Joseph into slavery, but Enlil sent him a vision of his descendants, the Israelites, who would multiply in Egypt, then leave to rule Canaan. Click arrow for Web Radio Enki Speaks Episode 33–Article, illustrations, youtube EPISODE 33. In this episode, Janet and Sasha Lessin read excerpts from Michael Tellinger’s Slave Species of god.